Schengen has become a synonym for the border-free travel in Europe. 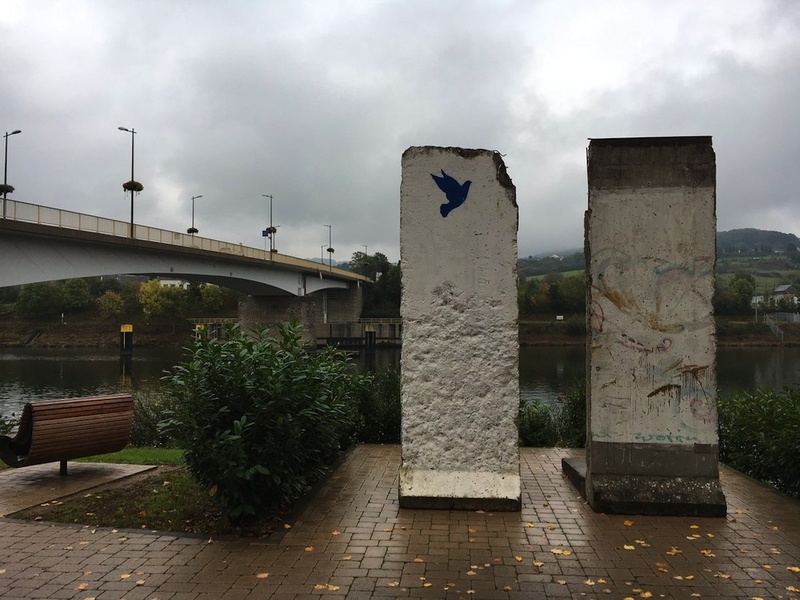 The cancellation of inter-state borders and passport controls was initially agreed upon by five European countries on a Mosel ship near Schengen in June 1985. 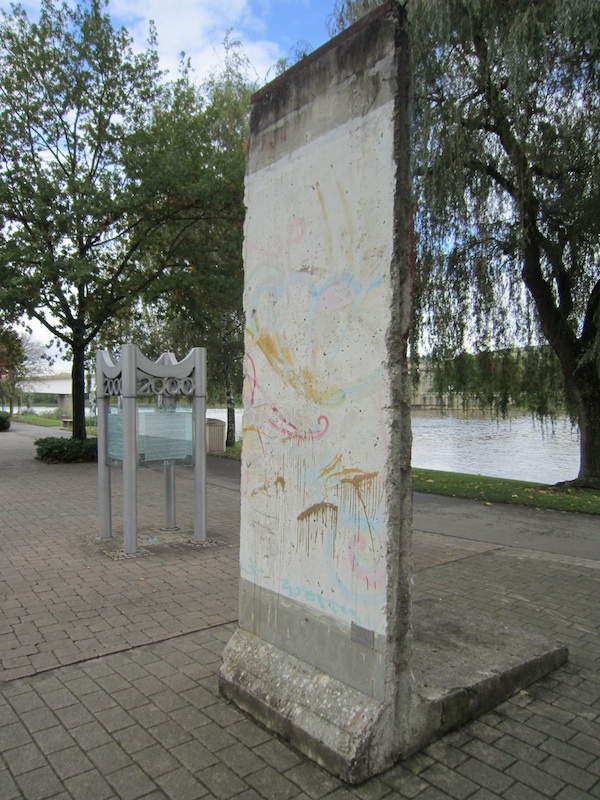 As a symbol of the opening and the removal of borders in Europe a Wall segment is facing the European Information Centre since 2010. 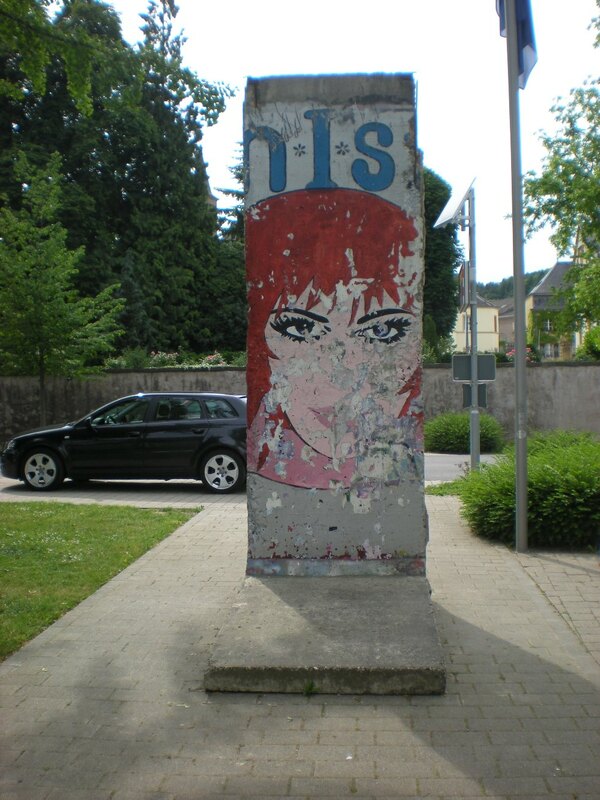 The segment is a gift from the Berlin Senat and was previously at the Sony Centre in Berlin. The original graffito Can I stay? by Wee Flowers covers three segments. The other parts are now in Verdun, France and Kiev, Ukraine. 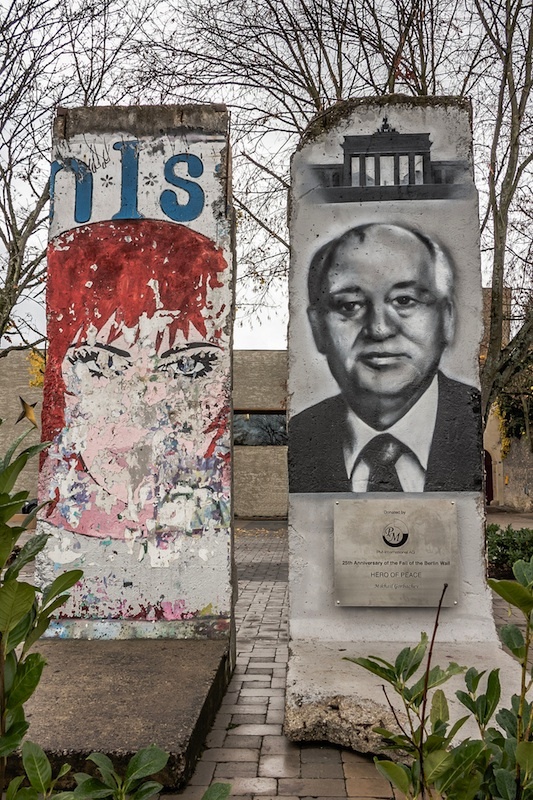 In 2015, another segment was added – with portrait and signature of the former Soviet leader Mikhail Gorbachev. This segment is a donation of dietary supplement manufacturer PM-International, which residents in Schengen. It was acquired at a charity auction of the Cinema for Peace Foundation. 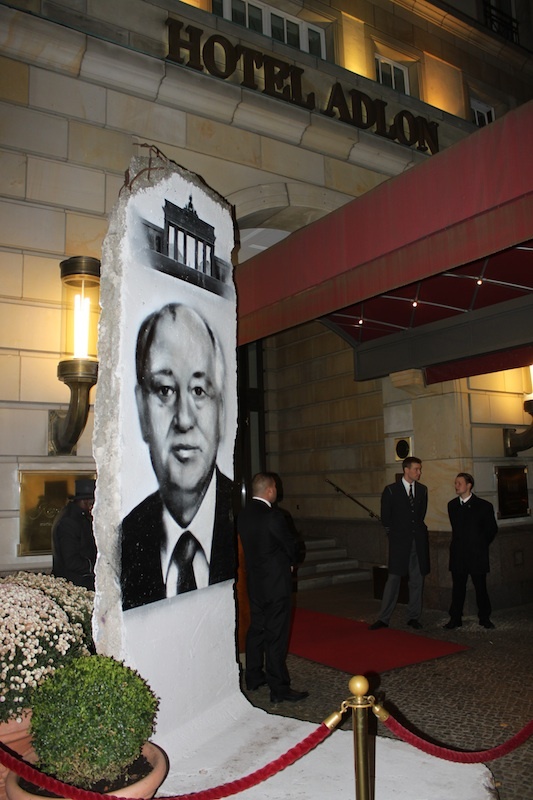 The latter held a joint symposium about the new challenges in the East-West dialogue with Michael Gorbachev and his New Policy Forum, on the occasion of the 25th anniversary of the fall of the Wall in Berlin. 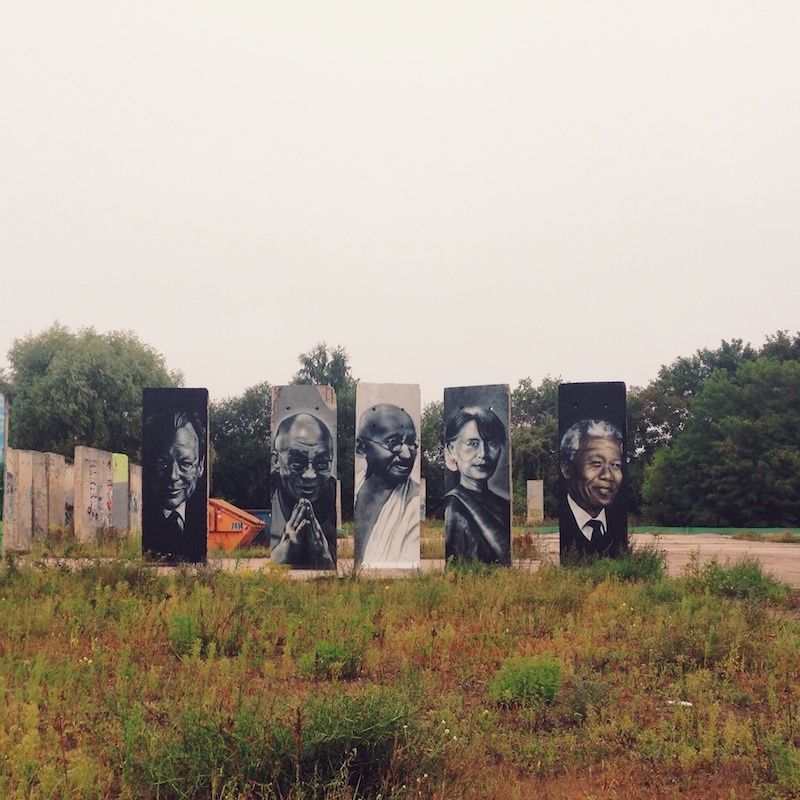 The Cinema for Peace Foundation supports filmmakers, who work on humanitarian and human rights issues, as well as Gorbachev’s New Policy Forum, one of the most modern think tanks in Russia. PM-International is one of the supporters of the Cinema for Peace Foundation. 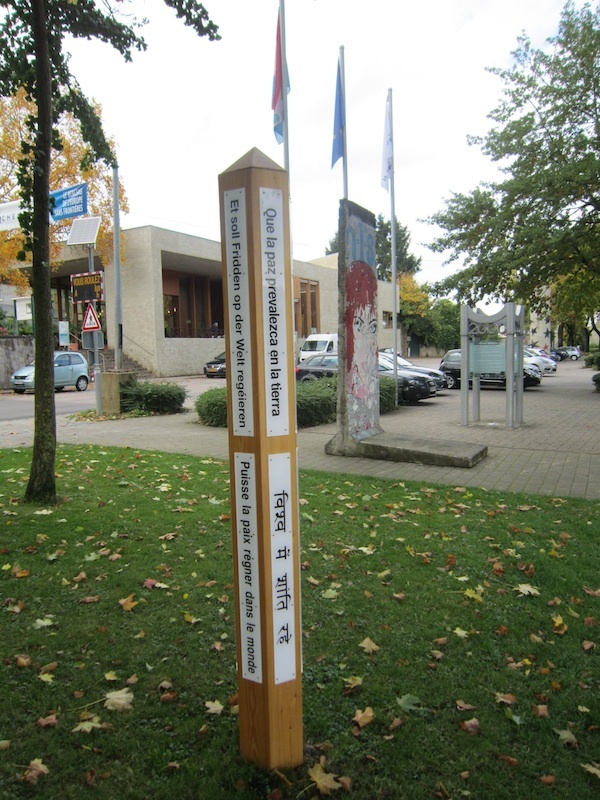 The auctioned segment was set up next to the existing segment in Schengen early 2015. 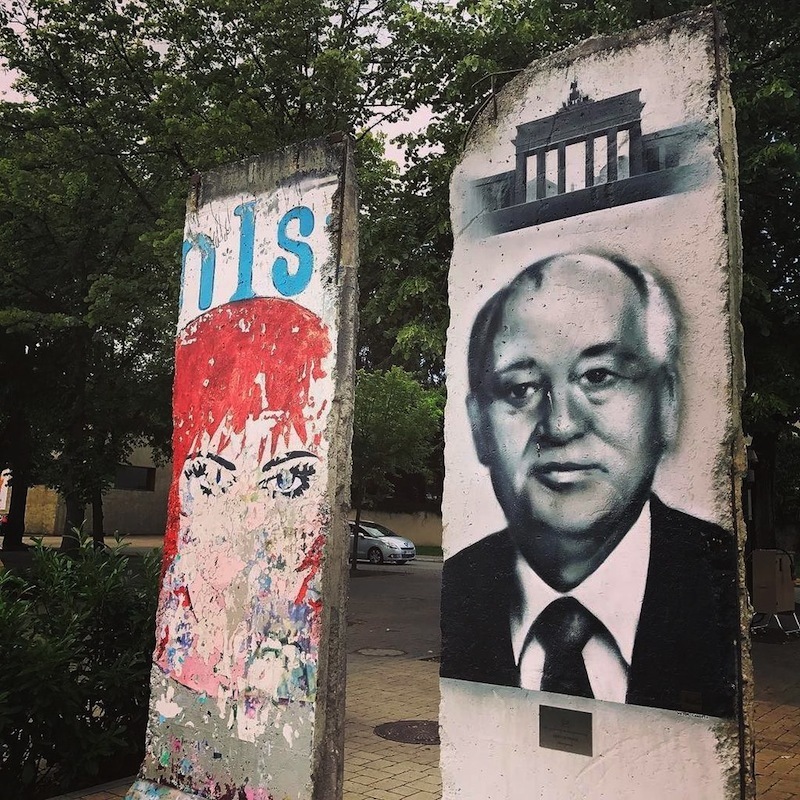 The Gorbatchev artwork is by Victor Landeta who has painted some other Nobel Peace Prize Laureates and others on Berlin Wall segments (Colombes, Schermbeck).